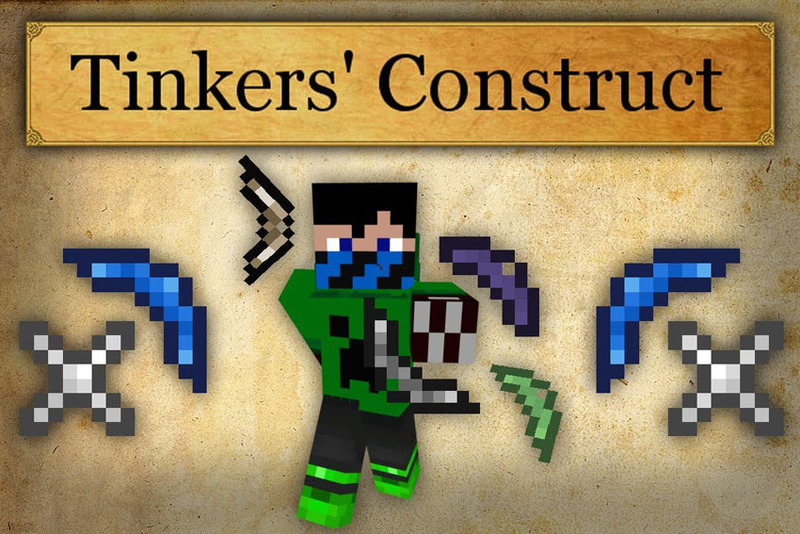 Tinkers’ Construct Mod 1.12.2/1.11.2 is a great mod for constructing, repairing and even modifying tools and weapons in Minecraft. You can also smelt metals to create more powerful weapons and tools to add to your arsenal. You’ll start off with a handbook. 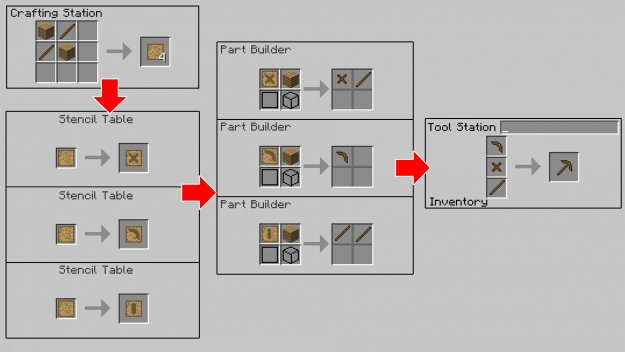 This should be your number 1 tool in figuring out everything you can do with this mod. 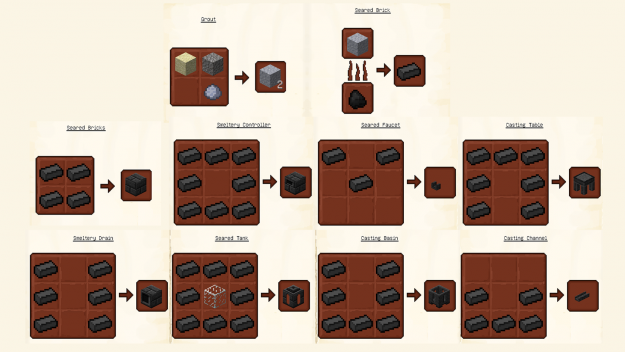 It’s full of recipes and guides to make this mod easier to understand. 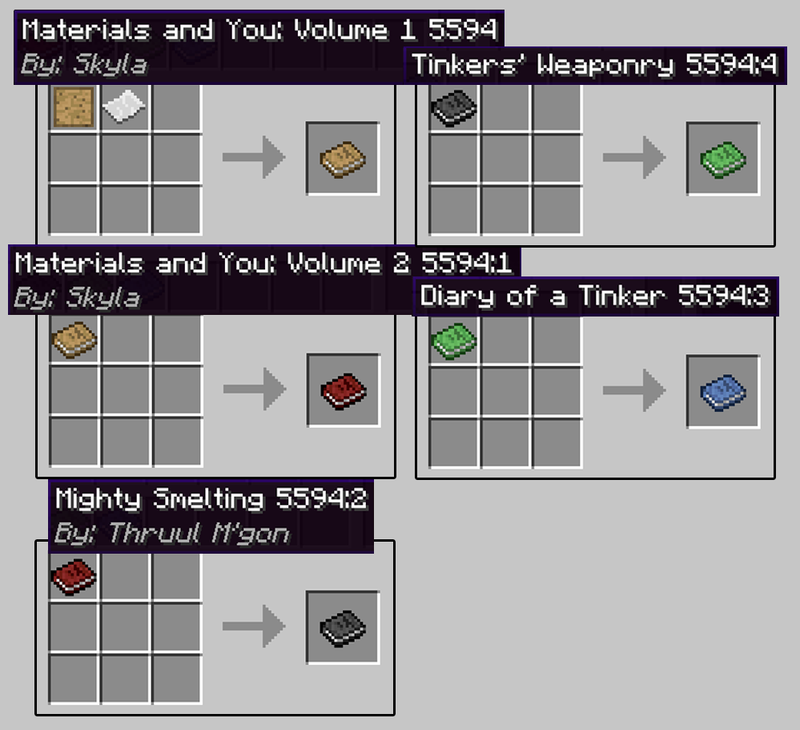 There are also 4 other craftable books to help with more advanced features. The mod stems from patterns you create that ultimately craft the different parts to your desired tools and weapons. The tables you’ll need are the crafter, part builder, stencil table, tool station, and tool forge to get the basics going. The Stencil Table allows you to turn blank patterns into essentially part blueprints. You then use these to create the basic pieces that will craft your tool or weapon. It’s very simple but can get a little overwhelming with how many combinations you can make. That’s where your books will come in handy so reference them often. 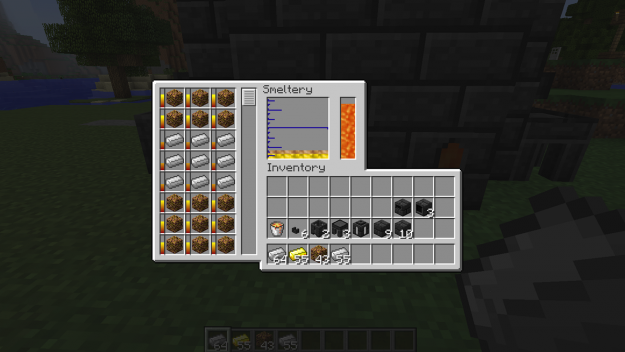 The advanced tools come in when you build a smeltery. This allows you to smelt metal into more powerful parts for your tools. 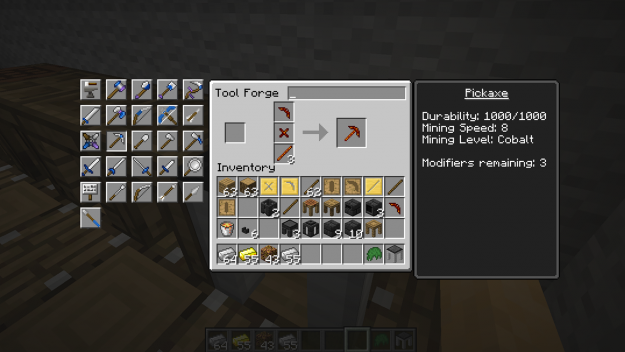 The mod also adds a few new ores to the game that only further advance your tools beyond that of diamond capabilities. 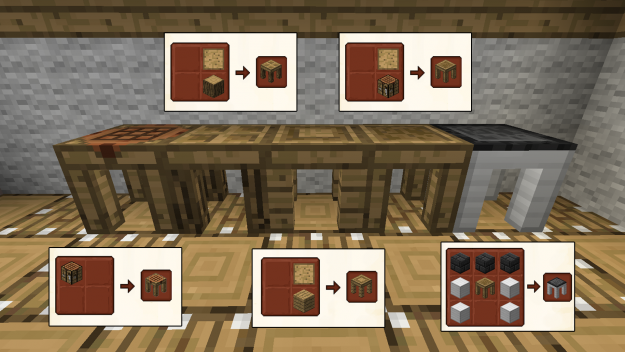 So once you’ve got a smeltery and some metals smelted you can make casts from wooden tool parts. Then use those casts with stronger metals to make stronger parts. It’s like turning Minecraft into an RPG with leveling tools and upgrading their abilities and adding new parts to them. 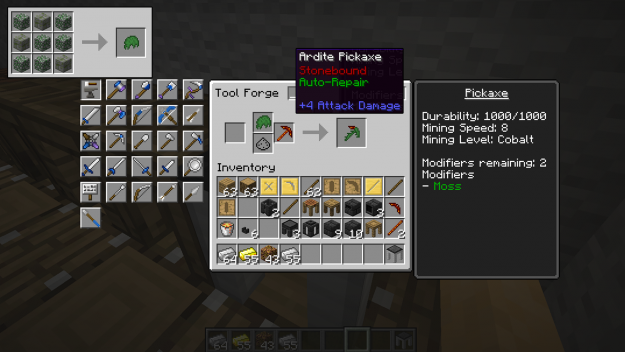 And once you really get the hang of the mod you’ll be able to give your tools special modifiers like auto-repairing. So when your tool starts to deteriorate it’ll actually fix itself over time. Basically you can enchant your tools without needing experience first. It works entirely off of the items you have in your inventory. So instead of going into spells and XP to enhance your tools you can opt for hard work and determination with this mod. This mod will rely heavily on referencing the in game guides. They will help you immensely in your new trade skills. Get to the point where you can craft yourself a really powerful hammer and blast through your mines in 3×3 chunks. It’s really effective at quick mining with excellent yield and results. There are tons more to do with this mod so have fun discovering new tools! Make sure you have already installed Minecraft Forge and Mantle Mod.